One year ago the European Commission launched its new transparency regime and started publishing meetings with lobbyists. Despite this step forward the activities of the €1.5 billion industry of Brussels lobbyists remain largely opaque and the EU’s transparency rules still need urgent reform. Over the last year, there have been over 7,000 meetings between high-level Commission officials and lobbyists. With 75% of the total, meetings with corporate lobbyists dominate the Commission’s agenda and tech, finance and energy companies take the lead. These meetings, however, are only the tip of the iceberg as the new transparency measures do not apply to most Commission officials, such as the negotiating team for the EU-US Free-Trade Agreement (TTIP). More importantly still, for lobbyists seeking to influence the European Parliament and particularly the Council, none of the new transparency rules apply and their activities remain opaque. 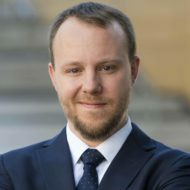 “While the European Commission has taken some steps to improve lobby transparency, so long as the system remains voluntary and without proper monitoring the EU’s whole transparency regime is ineffective”, said Daniel Freund from Transparency International EU. “Given the dominance of corporate actors, the bare minimum to prevent undue influence and corporate capture is to have full transparency in all EU institutions and binding rules that apply to all lobbyists. We urgently need a mandatory register”, Freund continued. Recent scandals such as the Volkswagen emissions case have exposed the risks of too close ties between industry and politics. A new report by Transparency International EU also provides insights into other policy areas regulated by the European Union. As an example, the German Commissioner Günther Oettinger has had more meetings with Deutsche Telekom than almost all of civil society taken together. “Looking at Oettinger’s lobby contacts it becomes clear that Telecom operators and Tech giants such as Google, Apple or Microsoft have the best access to the Commissioner in charge of regulating Europe’s digital economy. Companies and their representatives make up 93% of his meetings, which begs the questions of what access do companies have to those officials that currently do not report their meetings”, said Freund.